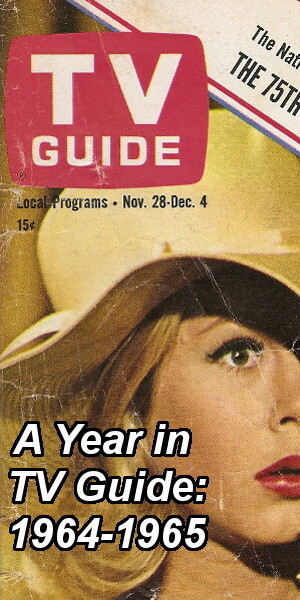 Bookshelf is a monthly column examining printed matter relating to television. 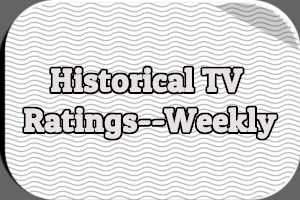 While I love watching TV, I also love reading about it, from tie-in novels to TV Guides, from vintage television magazines to old newspaper articles. Bookshelf is published on the second Thursday of each month. Published by E.P. Dutton & Co., Inc. Despite what the title would have you believe this book does not include much information at all on how to write for television. 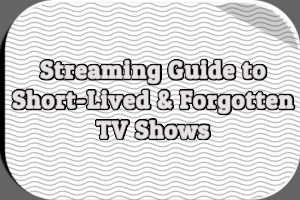 Published in 1946, when commercial television was still in its infancy and the networks barely existed, it instead offers an overview of television production at the time. 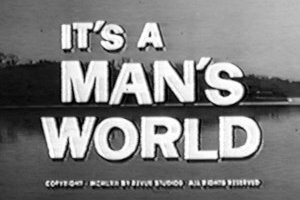 Allan’s own television show, Thrills and Chills Everywhere, debuted in 1941 on NBC’s station WNBT in New York City before moving to DuMont’s station WABD at some point in 1944 or 1945. He refers to it several times as the highest-rated show in the city. This is not a how-to book on scriptwriting. Far from it. Allan covers nearly very aspect of television production, ranging from camera angles to costumes and makeup, from films on television to making the best use of scenery, at times quoting extensively from those in the industry. 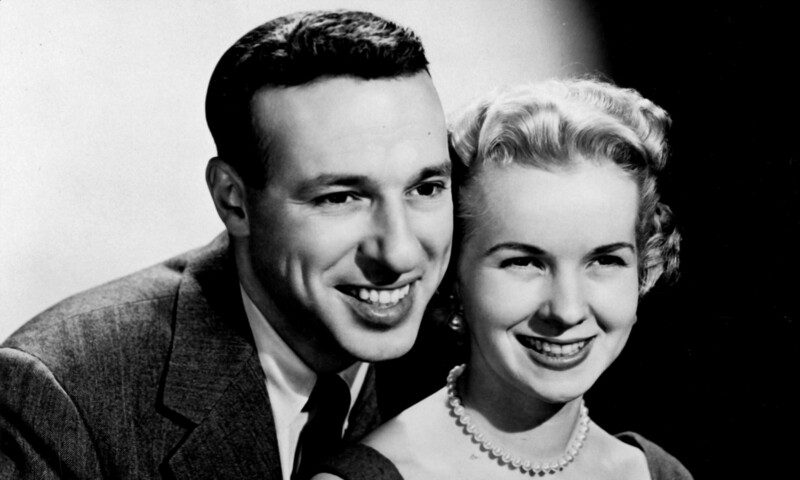 In 1946, it seems, writers needed to know everything about television, including the proper makeup colors for men and women (both blondes and brunettes). Allan does discuss writing commercials and reprints three commercial scripts, one for Red Goose Shoes and the other for Tintex dye. He also briefly writes about dialogue for television, which he says is similar in many ways to theatrical dialogue. Allan obviously assumes that anyone reading his book already has experience writing, perhaps even experience writing scripts for radio or movies. He’s more interested in exploring the current state of television and its rapid growth and expansion, which could mean some 4.5 million jobs by the mid-1950s. 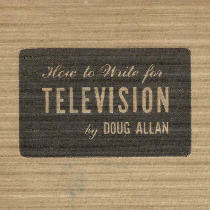 Front cover to How to Write for Television (no dust jacket) – Copyright 1946 E.P. Dutton & Co., Inc.
also all for programs that are lost. 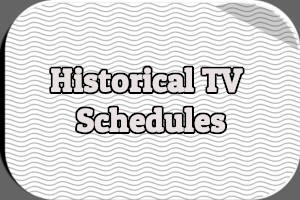 So little is known about the content of television of the time. Reading contemporary articles or even reviews can only offer so much. Being able to read the actual scripts is about as close as we can get to watching the actual programs. Based on a French one-act play written in the late 1800s, this dramatic play about a woman acquitted of murder who later confesses while under hypnosis first aired on WABD in New York City on June 2nd, 1944. It was produced by the Television Workshop and directed by Irwin A. Shane. The Television Workshop then decided to use it as an experiment to see if a television traveling stock company was feasible and it was staged a second time on August 11th over WRGB (the General Electric station) in Schenectady, NY. This “modern ballet” aired on WCBS in New York City on November 24th, 1944. The script is over 20 pages long. Based on Carl Sandburg’s 1936 lengthy poem The People, Yes, it was written by Sophie Maslow and featured Jane Dudley, William Bales, Pearl Primus, and the New Dance Group, plus Woody Guthrie and Tony Kraber as folksingers. Leo Hurwitz directed the half-hour program, which was so successful that WCBW decided to repeat it on January 12th, 1945 with the same director and cast. Perhaps the most bizarre script included in the book, this was for a puppet show aired on February 16th, 1944 over DuMont’s then-experimental station W2XWV in New York City. It was a segment of a two-and-a-half hour experiment in commercials featuring three different advertising agencies: Compton Advertising, Inc., Ruthrauff & Ryan, and Charles. M. Storm Company, Inc. Compton was behind “The Saga of Steve Cranberry,” which was a glorified commercial for Duz soap. The 12 minute program required a 32-page script. According to Allan, it also aired over WRGB. This is the only script I haven’t been able to find an air date for. According to Allan, it was first published as a short story in Collier’s in February 1944. Written by Kurt Steel, it is about a 11-year-old boy sick in bed on his birthday. His mother has written the local radio station asking that they announce his birthday on the air. Allan included both the original short story and the shooting script. The program was produced by Bud Gamble but Allan doesn’t say when or over what station it aired. How to Write for Television isn’t going to help aspiring scriptwriters break into the industry. But if you’re interested in early television, I recommend trying to find a copy so you can read the full scripts. Thanks for posting this review – now I want to try and find a copy of the book to take a look at the scripts and other information about the productions. Have you run into any other books containing scripts for pre-’50 tv programs? I have not acquired a copy yet but The TV Writer’s Guide (Margaret R. Weiss, 1952) is supposed to have a number of TV scripts from the late 1940s and very early 1950s, including Tom Corbett, Space Cadet, The Laytons, The Rootie Kazootie Show, and Camel News Caravan.